Concept of the day…..department of How Come? Why oh why can we not have heavy displacement cruisers that look like boats? 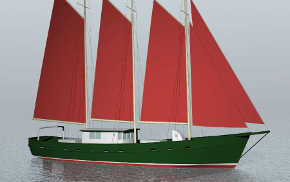 The two boats shown here have almost the same accommodation, despite my sketch (above) being only 44′ x 14′ compared to the Nordhavn (below), at 55′ x 18′. 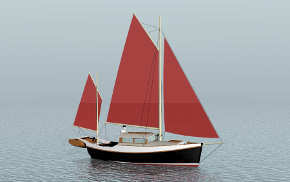 Both have a separate pilothouse with seating and a bunk, both have a big galley and saloon, both have a day head, and both have two full width staterooms with en-suite heads. 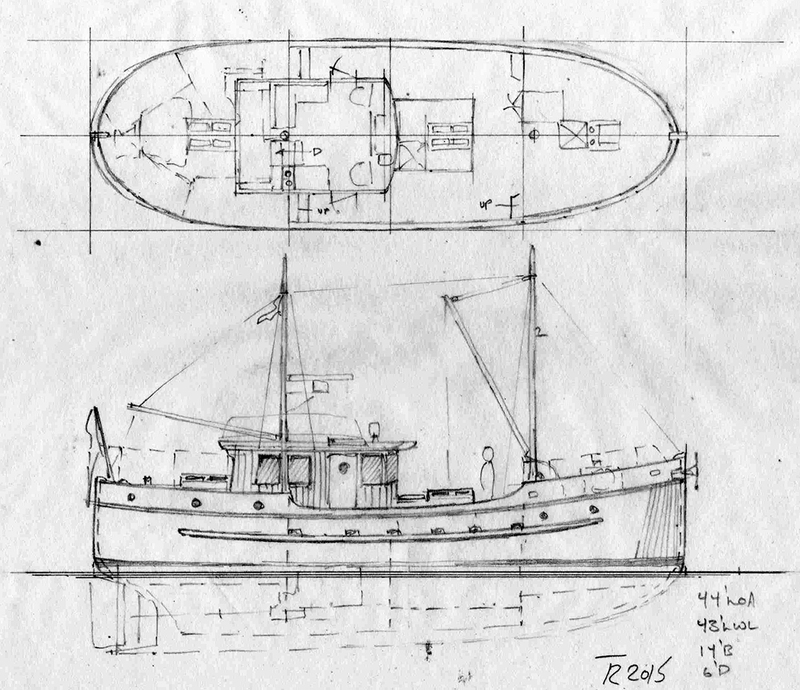 And both have restricted headroom enginerooms…….No flying bridge, bilge utility room, or aft cockpit in my sketch vessel. 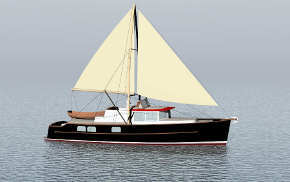 My boat has half the HP (165 vs 325) and two-thirds the displacement of the Nordhavn. 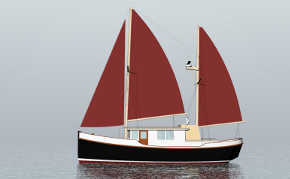 I believe my boat could be built (bent-frame carvel planked) new today for about the asking price of a used N55 (approx. $1.3m usd). From any viewpoint forward of the beam, the Nordhavn looks freakishly tall. 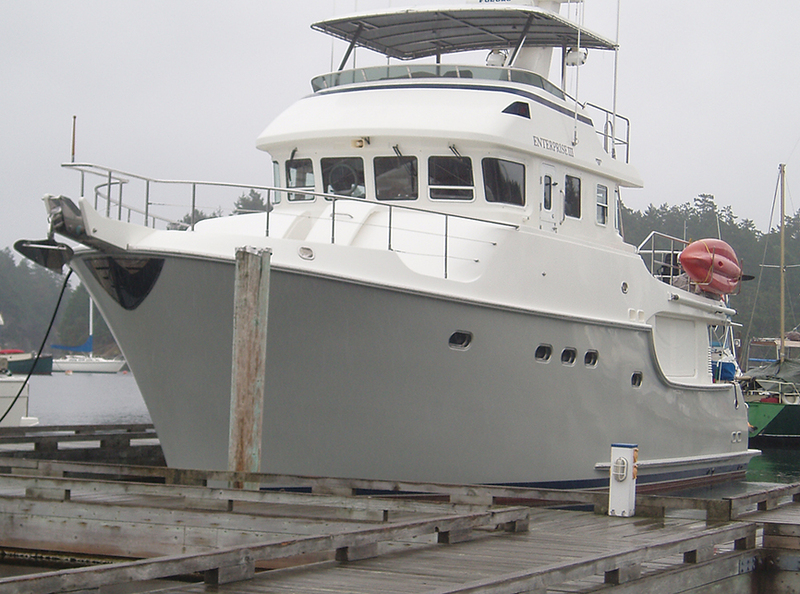 The windage is alarming, it’s no wonder these boats are equipped with bow and stern thrusters. The motion on the flying bridge in a seaway would be very quick and uncomfortable. In a sea I want to be down low, close to water level where motion is least. How do you put out a bowline when you’re 10′ in the air? The only place to get off this boat is at the stern, which is strange. I can’t help but think these boats are marketed to people afraid of the water, and they want to be as far from the wet as possible…….